AUTHORITIES IN LONDON’S financial district have ordered a company using high-tech rubbish bins to collect smartphone data from passers-by to cease its activities, and referred the firm to the privacy watchdog. The start-up company responsible, Renew, claims the technology could help advertisers tailor their marketing campaigns based on how often people pass a certain shop and how long they stay in there. Chief executive Kaveh Memari said trials were at a very early stage and his company was only counting the number of people walking past — without collecting any personal details. Irrespective of what’s technically possible, anything that happens like this on the streets needs to be done carefully, with the backing of an informed public. We have already asked the firm concerned to stop this data collection immediately and we have also taken the issue to the Information Commissioner’s Office. Renew installed its high-tech recycling bins around London during last year’s Olympic Games. The “pods” are bomb-proof and wi-fi-enabled and have digital screens showing real-time financial information, adverts and local information. They company hopes to expand to other cities including New York, Dubai and Rio de Janeiro, which is hosting the 2016 Olympics. This summer, the firm began testing if the pods could collect data from smartphones, and during one week in June registered more than half a million unique devices. It recorded the brand and also hopes to map footfall around specific areas, which it said “provides an unparalleled insight into the past behaviour of unique devices – entry/exit points, dwell times (time spent in a location), places of work, places of interest, and affinity to other devices”. The implications of where this technology could go, got a lot more exciting than actually what our trial was. He compared the technology to websites which count the number of hits or unique visitors — they provide a measure of use but do not know who those people are. And he insisted that using such data for targeted advertising — for example by noting that a person regularly visits one coffee shop and showing them ads for a rival chain — would be implemented in discussion with data protection groups. 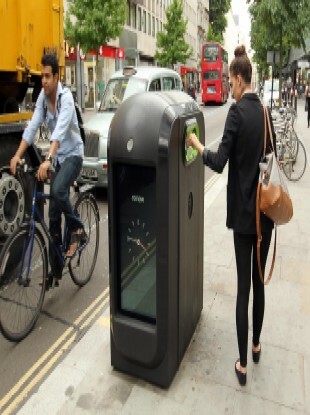 Email “London orders rubbish bins to stop collecting smartphone data”. Feedback on “London orders rubbish bins to stop collecting smartphone data”.